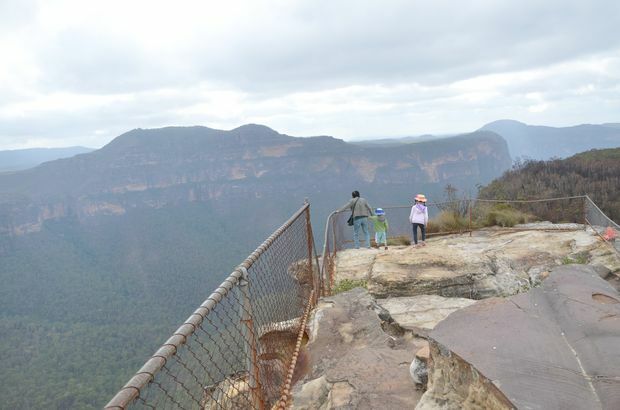 Anvil Rock (GPS: 33.595487°S 150.339451°E) is an often overlooked attraction of the Blue Mountains. To get there, follow the mostly-gravel Hat Hill road from Blackheath. Any 2WD vehicle can traverse the road. On arriving at a fork, take the left turnoff to Anvil Rock. The right turnoff leads to Perrys Lookdown. The road continues for a further 500 metres to a small carpark. To the right, a sign marks the start of a short 0.5 km, 5 minutes moderate walk to the Anvil Rock overlooking the Grose Valley. Along this Anvil Rock Trail, you will come across a rustic seat in memory of a lady called Joyce Brister (1916 -2010). The plaque reads: “At home in the bush“. The rock has been carved by the elements over millions of years into the rough-shape of a blacksmith’s anvil. 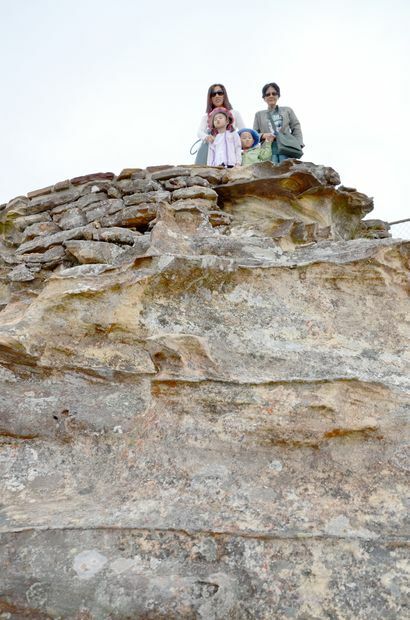 Hence, Blackheath Council named this rock formation the Anvil Rock in 1938. In 1940, Bradford Kendall, who operated a foundry business, presented the Council with a 305 kg steel anvil, which was cemented to the top of the rock. 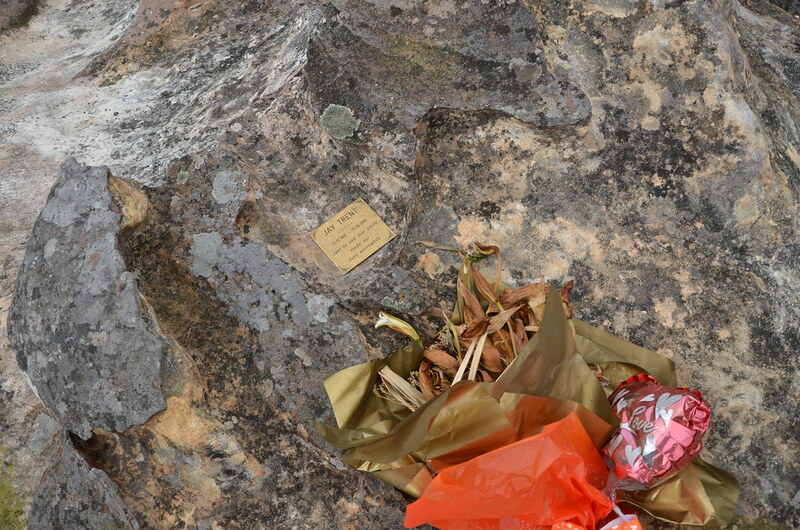 On top of the anvil sits a direction plate showing various locations with respect to the Anvil Rock Lookout. In the 1970s, the steel anvil suddenly vanished. 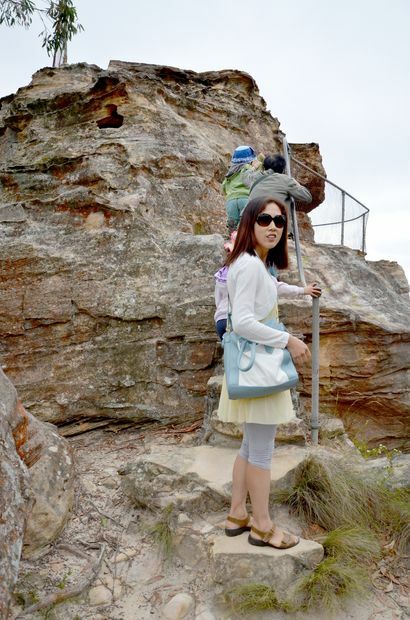 Judging from scratch marks on the cliff face, National Park rangers realized that vandals had managed to wrench it from the rock and push it over the cliff 300 metres deep into the valley. The difficult terrain and the problem of retrieving something so heavy prevented National Park staff from carrying out a search, and the missing anvil became part of Blackheath folklore. On 26 February 2005, the Police Rescue squad were forced into searching the valley below Anvil Rock by foot. It was a sad business as they were trying to find and recover the body of a suicide victim. The body was found, and also the missing anvil! It was lying completely intact at the base of a tree, which had broken its fall. Afterwards, approaches were made to the National Park people who agreed to try and haul it out by helicopter. This was eventually done and the iconic anvil has since been cemented securely back in place. 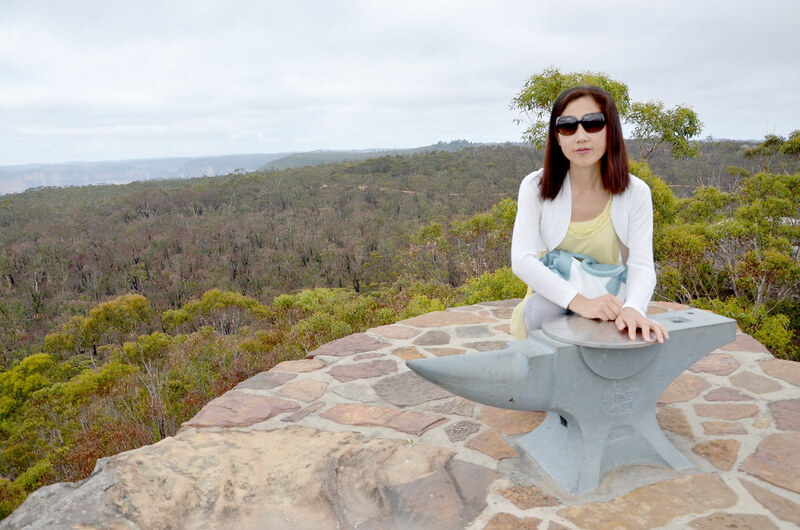 The view atop the Anvil Rock is worth the 15-metre climb via carved rock steps and rail, some with very high, steep steps. 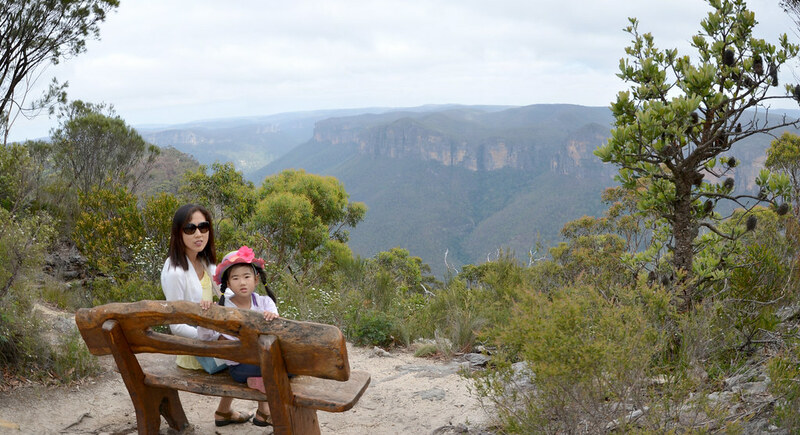 This lookout gives visitors an almost 360 degrees magnificent view over the Grose Valley to Mount Banks and Mount Hay, from the spectacular escarpments above the tree canopy to the flashes of water from the snaking Grose River far below. As the sun dances across the weathered sandstone rock formations, the landscape transforms into a variety of colours and shades. Cloud and fog occasionally engulfs the valley below, creating a blanket look. Looking across the Grose Valley, you will see the straight edge cliffs with shear sides, yet fault lines can be seen as blocks. The best time to visit is on a clear autumn or spring day, preferably mid week. Odds are you will be alone except for scurrying lizards, bees sipping nectar from the flowering banksias and birds. King parrots, kookaburras and cockatoos soar across the valley with raucous calls but the most magical sound is that of distant bellbirds. Hundreds of them feed in the foliage of gums; their tinkling notes create a chorus that lifts the heart.